Vista, thy name is bloat! The latest Windows packs a lot of code--more than any version of Windows ever--and some of it is just plain unnecessary. All of that excess code has a way of slowing down an operating system. You can regain some PC performance by removing unneeded features. I've identified a dozen Vista features that you can turn off right now. Some are shiny baubles that slow down graphics performance, while others are optional utilities that hog memory when they shouldn't. A few can actually be quite useful, though they play a major role in bogging down your PC. Just to be on the safe side, make sure to create a restore point before you turn any of the items off. That way you can quickly return your machine to its present state should you decide that you don't like the change. To make a restore point, click Start, type sysdm.cpl, and press Enter. Choose System Protection, Create, and then follow the prompts. I list the features in the order that would make them easiest to turn off. For instance, I've put features that you can remove in the same dialog box next to each other. Give Windows Sidebar the axe by deselecting the 'Start Sidebar when Windows starts' check box. You pay a heavy performance price for the analog clock, thumbnail slide-show viewer, and Microsoft-centric RSS news feed that dock in the Windows Sidebar. Turning the whole thing off gives you a big speed boost, especially at boot time. To remove the Sidebar, right-click anywhere on the Sidebar and select Close Sidebar. Uncheck Start Sidebar when Windows starts, and then click OK.
Aero graphics are neat, but unnecessary. Turn them off to speed up a slow PC. 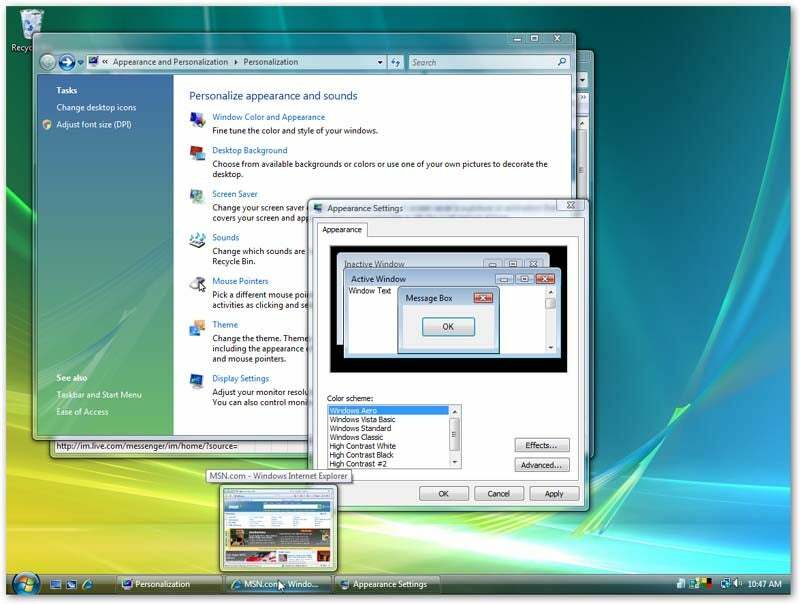 Microsoft put a lot of Vista's visual enhancements under one technological and marketing umbrella: Aero. Among those features are the thumbnails of your windows that appear when you hover the mouse pointer over the taskbar, as well as the Flip 3D view you get by pressing Windows-Tab. Aero adds a little practicality and a lot of panache to the Vista user interface, and personally, I like it. If your PC is underpowered or overloaded, however, Aero may be more trouble than it's worth. 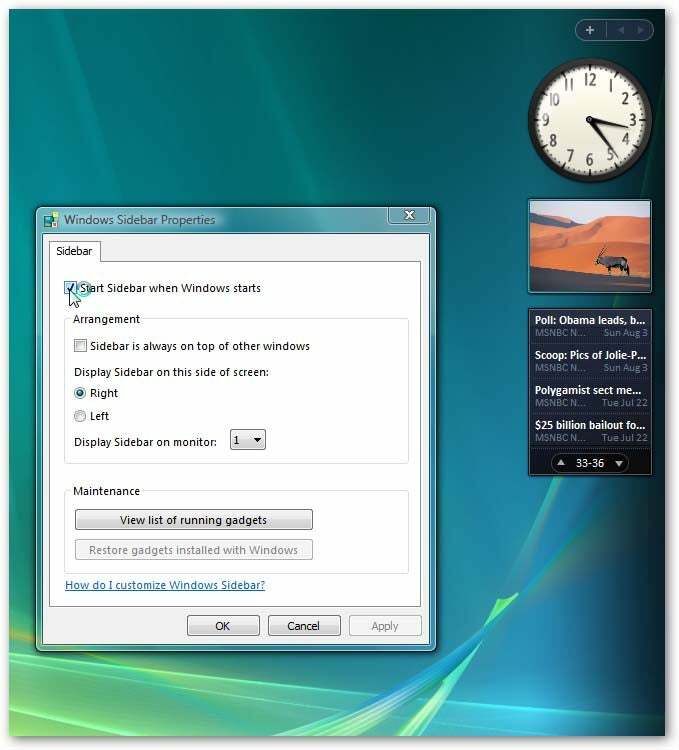 To turn it off, right-click the Windows desktop and select Personalize, Window Color and Appearance. In the resulting 'Window Color and Appearance' dialog box, click Open classic appearance properties for more color options (if you don't see the option, that means Aero is already turned off). Select Windows Vista Basic and click OK.